Machine Gun Shoot & firearm/suppressor demos. 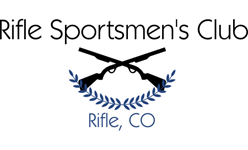 Sponsored by Outlaw Gun & Tactical, LLC/Arms Authority of Rifle, CO and Machiine Gun Tours of Denver, CO.
Grand Opening celebration featuring full auto machine gun shoot, a huge variety of firearm and sound suppressors demos, CCW Simunition Courses, prizes, BBQ, and more! Hearing and eye protection is mandatory. NOTE: Range is open ONLY to participants of the machine gun shoot. For safety reasons, no general shooting by members will be allowed during this event.